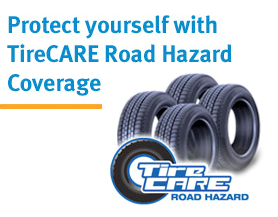 Up to one actual tire replacement per covered tire. Minimum tread depth applies. See our Quick Lane Manager for details and coverage limits.